Total mobile money float balance at end of June 2016 stood at GH₵ 679.2million compared to GH₵ 341.3 million in 2015, according to Bank of Ghana data. During the same period total number of registered mobile money agents increased to 108,531 compared with about 38,400 in June 2015. Speaking at the launch of the 2016 Ghana Banking Survey Results, Dr Johnson Asiama, Deputy Governor of the Bank of Ghana (BoG), said the trend confirmed the wide and growing acceptance of mobile money services as an alternative to other modes of transactions. “These are funds mobilised for the banks at no cost to the banks; funds, which could have been outside the formal banking system without such an ecosystem,” he said. The PwC 2016 Ghana Banking Survey Results ‘How to win in an era of mobile money’ launched in Accra sought the perspective of Banks Chief Executive Officers as to the extent to which mobile money is expected to affect their business and the importance bankers attach to critical success factors in the delivery of mobile money service. While bankers surveyed perceived mobile money as an opportunity to be explored, they also viewed as a potential threat if non-banks are allowed to provide the service in competition with traditional banking services. The survey also identified regulations, technology and partnerships as critical success factors. Dr Asiama said with advancement in technology, the use of non-cash payment products, has become more pronounced, thus moving the country gradually towards a cashless society. He said BoG is committed to facilitating an enabling regulatory environment for mobile money that would promote financial inclusion without risking the general safety and soundness of the financial system. In this direction, the Bank is currently working through stakeholder engagement to design a new regulation to replace the Electronic Money Issuers Guidelines. The new Regulation would bring together all the issues that have been raised with the existing guidelines and also take into consideration technological changes that have occurred since the passage of the guidelines. He said the Bank through collaboration with industry stakeholders had also developed a web based portal meant to allow seamless submission and analysis of payment systems data. 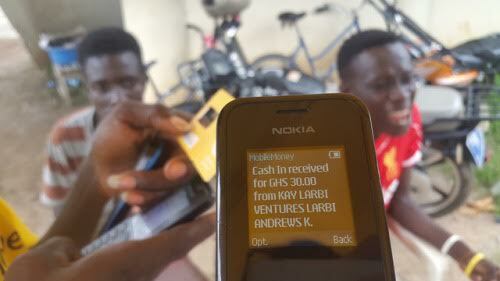 Last year, the Bank approved an innovative micro investment scheme that would enable mobile money holders to invest in Treasury bills with values as low as GH₵ 5.00 ($1.31). This product is not limited to bank account holders; it is for holders of electronic money on the mobile money platform who could initiate the transaction on a phone. He encouraged the banking industry not to see the mobile money operators as competitors but rather complementary and a vital channel in achieving the financial inclusion agenda and reducing cost of mobilisation of investible funds. “The mobile network operators have the technology and infrastructure to drive financial inclusion as envisaged and so let us leverage on the technology and agent network to promote financial inclusion without risking the general safety and soundness of the financial system,” he said. He said the BoG would continue to dialogue and to fine tune the regulatory and supervisory framework to ensure minimized risks and vulnerabilities in the system so as to achieve the financial inclusion objectives whilst we build a robust payments system infrastructure for the country. Mr Vish Ashiagbor, the Country Senior Partner, PwC Ghana said banks cannot longer operate in isolation but need to build partnerships with other banks and with other service providers to expand their reach and deliver services to the customer in a timely manner.